This morning, Amazon went H.A.M. on a bunch of new Fire products. They introduced us to new Fire tablets (more here) and a couple of revamped Fire TV products. Most notably, we have the brand new Fire TV with 4K support, best-in-class WiFi, built-in Alexa (the brain behind Echo), and a microSD slot. Along with the new Fire TV, Amazon also announced a new Fire TV Stick with a voice remote (pictured below), so that Stick owners can also get into the Alexa spirit. As a recap, the Fire TV is like an Apple TV or Google’s Nexus Player. It’s a box that attaches to your TV, giving you access to your favorite streaming services (Netflix, HBO, Spotify, Pandora, etc. ), apps, and even games. This new model has 75% more processing power (64-bit MediaTek quad-core processor), is 4K-ready, has 802.11ac MIMO WiFi, SD card support up to 128GB outside of its 8GB onboard storage, Mayday screen sharing, Audio from Dolby, and Alexa, so you can ask it all sorts of voice commands (weather, play music, etc.). As for the new Fire TV Stick with voice, it sounds like Amazon really just gave it the newest version of their Fire OS and the included the voice remote. Otherwise, I don’t think there is much of an upgrade in terms of specs or hardware. 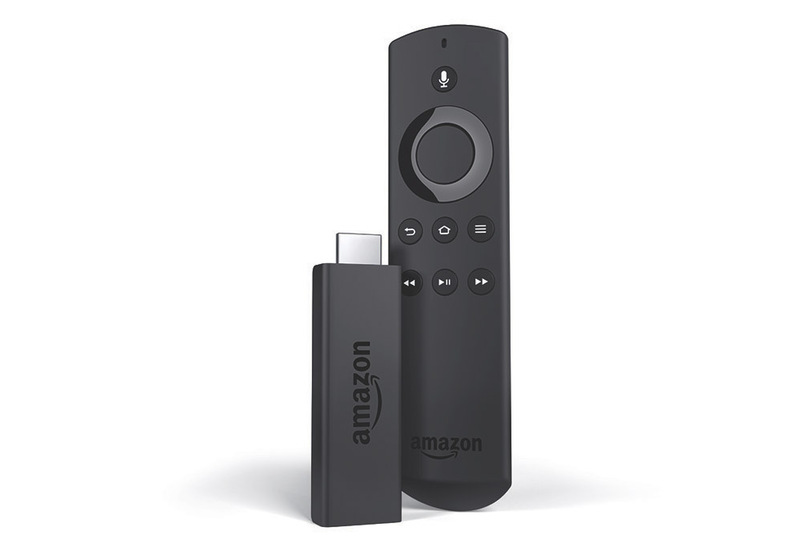 The Fire TV Stick, for those new, is like a Chromecast. 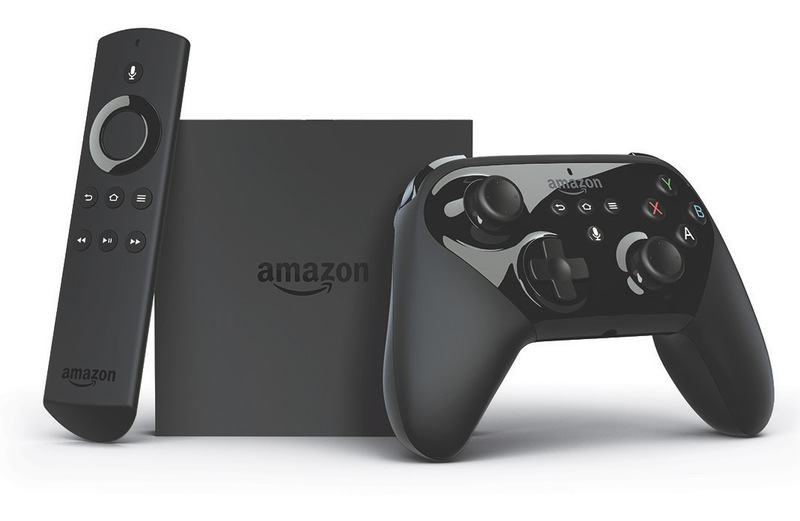 The new Amazon Fire TV is available for pre-order today at $99 and will ship October 5. Amazon is also offering a “Game Edition” version that comes with a new game controller, 32 GB microSD card, and two games: Shovel Knight and Disney’s Ducktales – for $139.99. The new Fire TV Stick is also available for pre-order today at $49.99, but won’t ship until October 22.